Where is a racer going to put his helmet, gloves, suit and other gear after the races? Back in the gear bag of course! 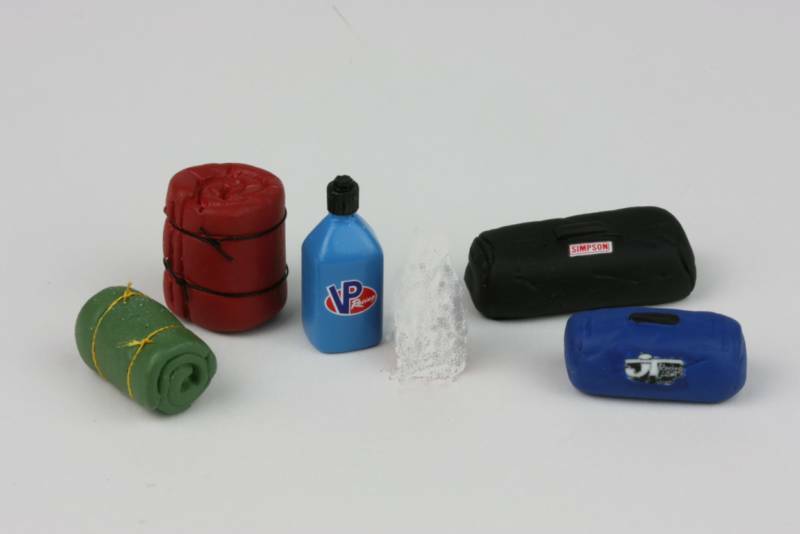 You get a large gear bag (1.1" long) and a medium gear bag (0.9" long). 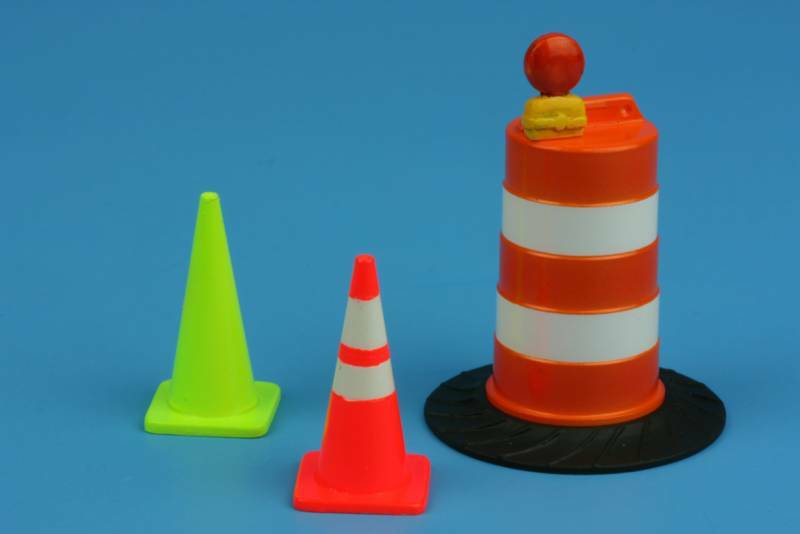 Calnaga brings you a set of traffic control devices, including a drum, two cones and barricade light. They were scaled from the real things being used for road construction near the Calnaga shop, and they have been checked against the MUTCD (Manual on Uniform Traffic Control Devices) standards. They will add interest and realism to your display. 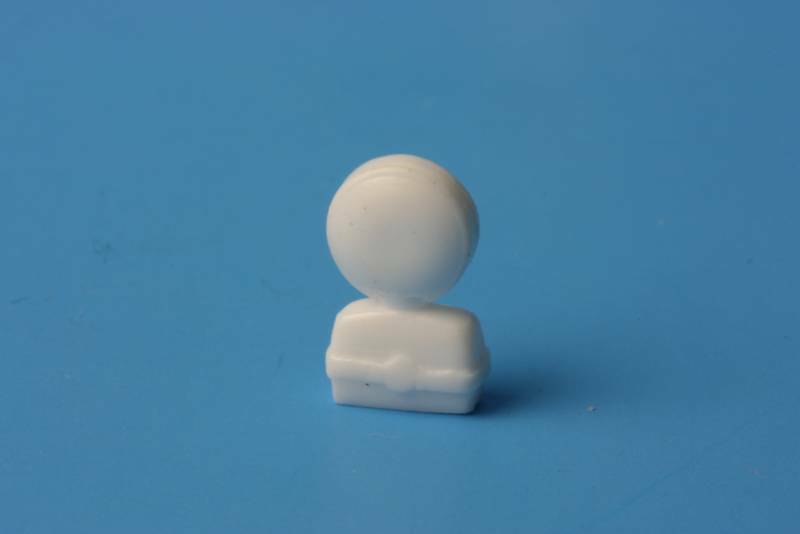 They are supplied in white resin and are fun to paint. See Steve's recommendations in the following descriptions. Uh-Oh, better slow down for the orange barrels. Calnaga's drum type channelizer is accurately scaled to 1:25 for a 36" height and 18" diameter at the top. It includes handle detail and a separately molded truck tire sidewall base. Detail them to look brand new right off the truck, mildly weathered, or totally wasted! You get a pair of two barrels, including reflective stripe material. 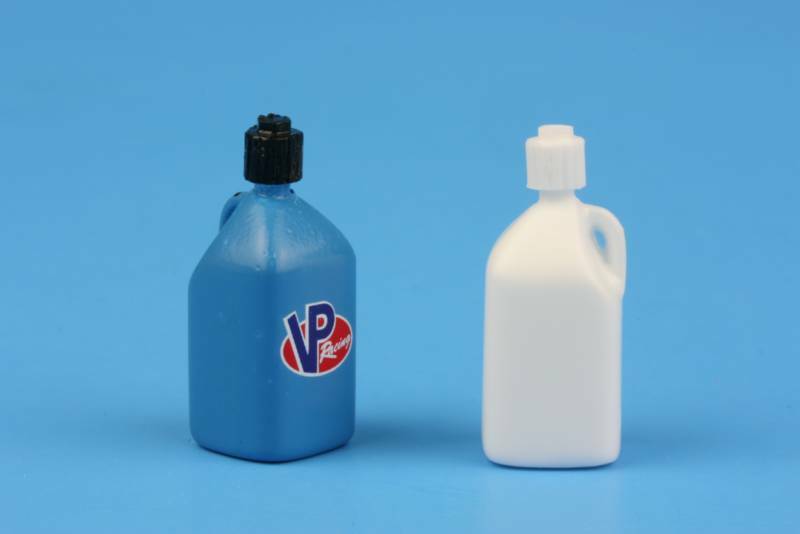 Painting suggestion shown, parts are supplied in white resin. Standard barricade lights have a 7" diameter lens and Calnaga's scales out just right for 1:25. 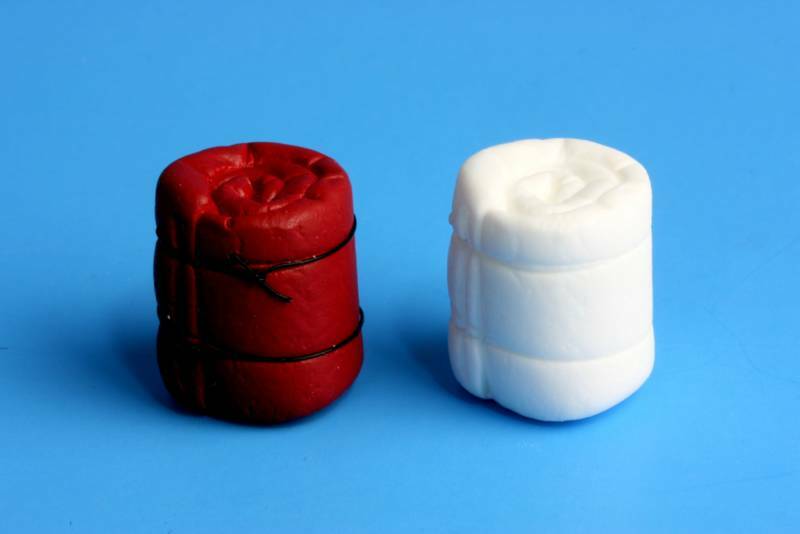 You can add these to your own wood barriers or mount them on the Traffic Control Barrel. The lens looks good with Testor's Turn Signal Amber over a Bare Metal Foil base. The battery box is usually yellow, but sometimes found in other colors such as blue, green, or black. 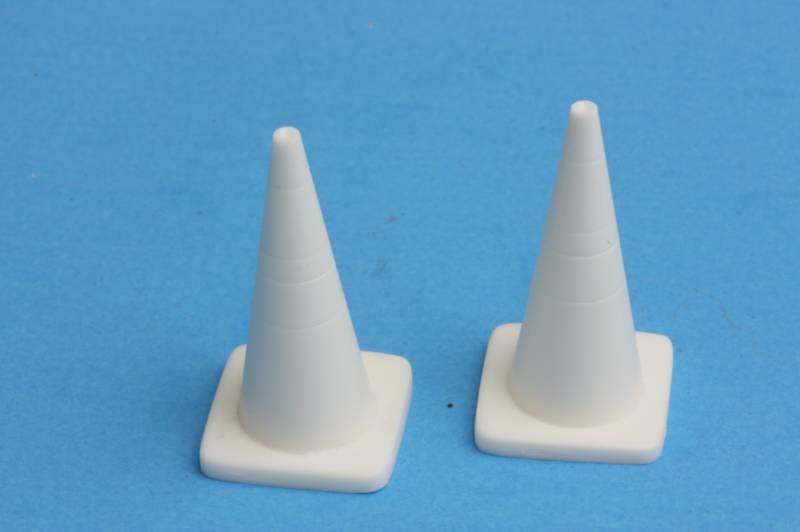 This cone represents a standard 28" high traffic cone, with a 15" square base. You get a pair of cones. 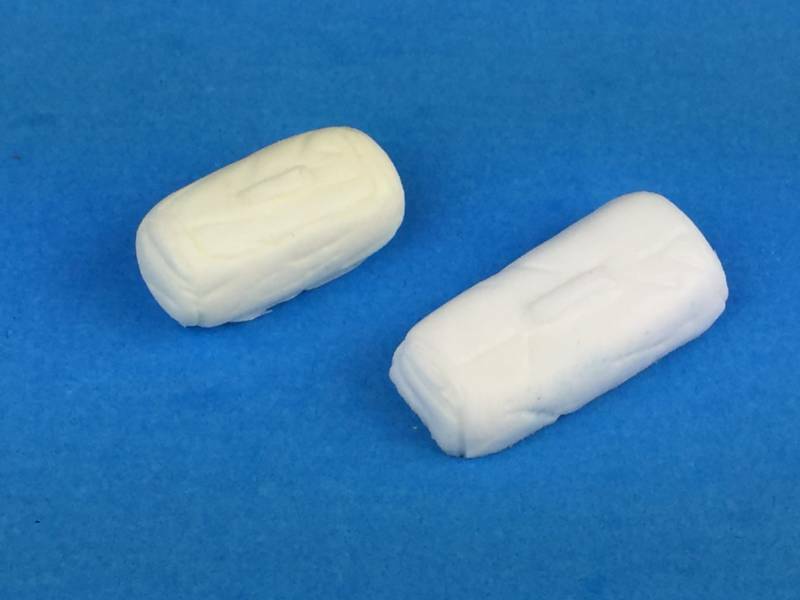 Parts are supplied in white resin. 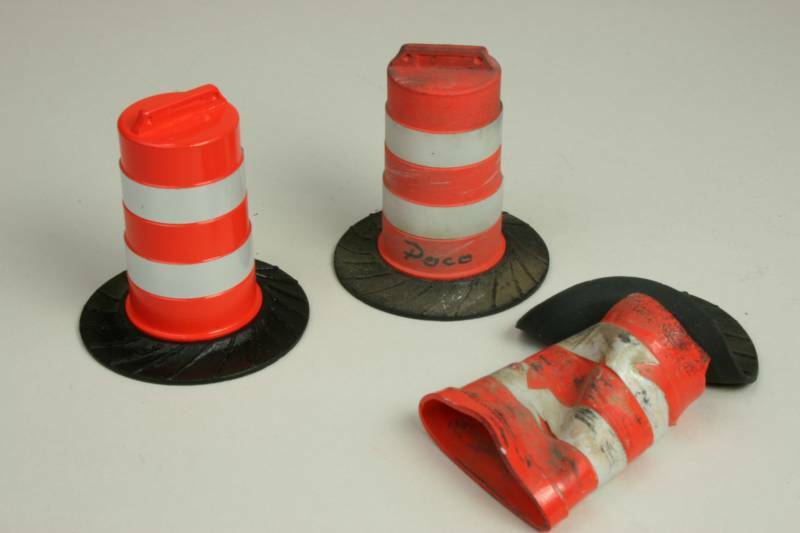 The standard 28" cone with standard 6" and 4" stripes defined by a very fine groove molded into the cone. This makes it easy to mask or brush paint around the stripes and get every one the same! 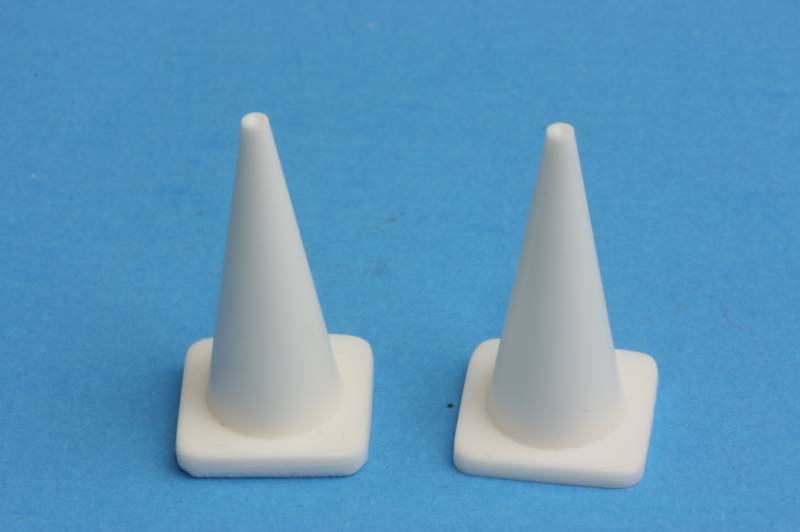 You get a pair of cones, supplied in white resin.